166 in stock Need More ? With an Introduction by David Stuart Davies. Father Brown, one of the most quirkily genial and lovable characters to emerge from English detective fiction, first made his appearance in The Innocence of Father Brown in 1911. 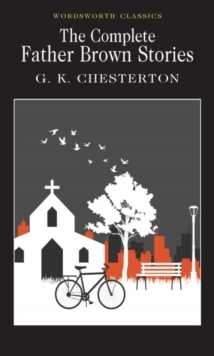 That first collection of stories established G.K. Chesterton's kindly cleric in the front rank of eccentric sleuths. This complete collection contains all the favourite Father Brown stories, showing a quiet wit and compassion that has endeared him to many, whilst solving his mysteries by a mixture of imagination and a sympathetic worldliness in a totally believable manner.